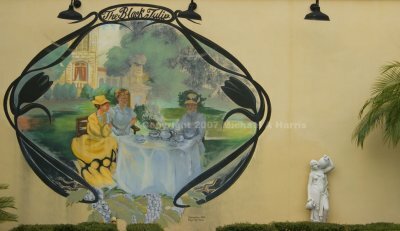 This is a restored mural (done in 2003) that is on the outside wall of the Black Tulip Restaurant in historic Cocoa Village, Florida. The restoration was done by Robyn Tryk-Mous. This is a mural that can be found on the west side of the Hwy US 1 and Eau Gallie Blvd intersection in the Eau Gallie district of Melbourne, Florida. There used to be an Italian restaurant at this location, but that was many many years ago. The mural remained but was hidden from view by the fence around the old Townsend Tire store which was recently torn down. 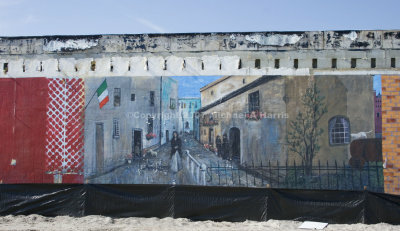 A Coca-Cola mural behind the 7-Eleven in Indian Harbor Beach, Florida. The mural was painted on the outside wall at the end of a strip mall. I believe it was painted for the store that used to occupy that last shop - a Doubles sandwich shop. Update (Nov 08): This mural has been painted over. It's kinda sad that it's gone. It was, in my opinion, a great feature of the building. Recently, the owners of the little plaza decided to renovate and this was one of the first things to go. I've decided to photograph the murals around my area. There are actually quite a few. This mural painting is on the end of a strip-mall on South Patrick Drive in Satellite Beach, Florida. 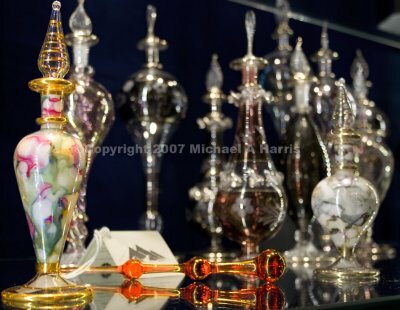 Hand-made perfume dispenser at Arribas Brothers in Downtown Disney (Lake Buena Vista, FL). Note: I fiddled with the colors using masks in CS2 - to make the bottle and rub stem stand out from the others. 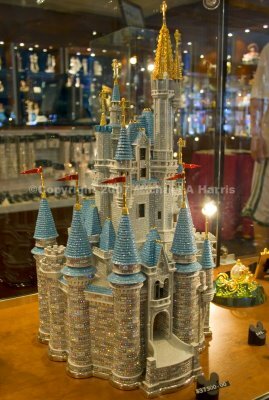 A $37,500 jeweled model of Cinderella's Castle at Arribas Bros. in Downtown Disney. 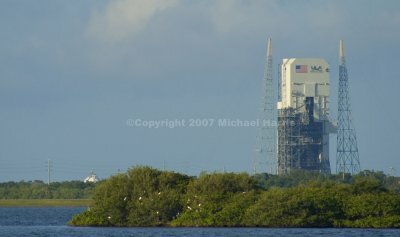 The United Launch Alliance rocket and payload assembly building stands in the background, while birds pay a visit to one of the many islands in the Merritt Island National Wildlife Refuge. The Kennedy Space Center and Cape Canaveral Air Force Station are both located within the Merritt Island NWR and Cape Canaveral National Seashore complex. 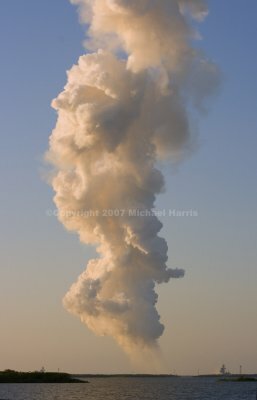 As you can probably tell, the exhaust plume drifted some before I took this. 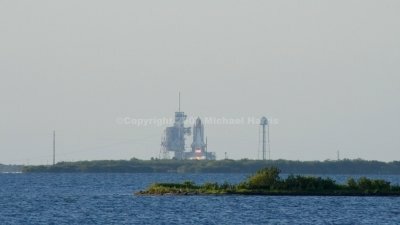 The launch pad from which Atlantis lifted off is the structure to the right. The one to the left is the other Shuttle (and former Saturn V) launch pad. This is a shot of the solid rocket boosters as they separate from the external tank and shuttle assembly. This occurs approximately two minutes after launch. 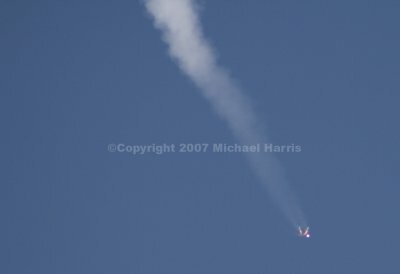 Please check out the other launch photos in this gallery. Thanks! 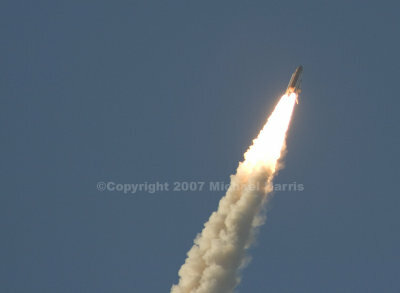 Today's launch of the Space Shuttle Atlantis. I'm not entirely happy with this lense. I'm thinking it's time to upgrade.... Anyways, check back, as I'll have other shuttle shots posted tonight and tomorrow. 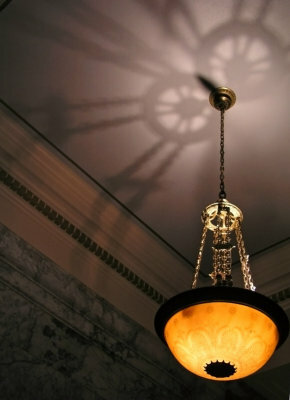 Taken in the hall of the Washington State Capitol Building.